I was watching a movie last night on the laptop and my wireless headphones decided to die. I didn’t want to wake anyone up by blasting the audio through the speakers and then it hit me. 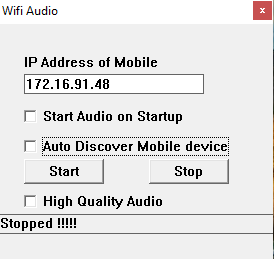 There should be a way to stream audio from pc to Android smartphone. Turns out, there is. 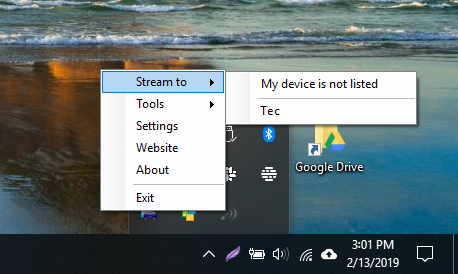 It works similar to Roku’s Private listening but for your PC, All you need is a good Wi-Fi connection. I found 3 apps which let you do this. Let’s see how it works. 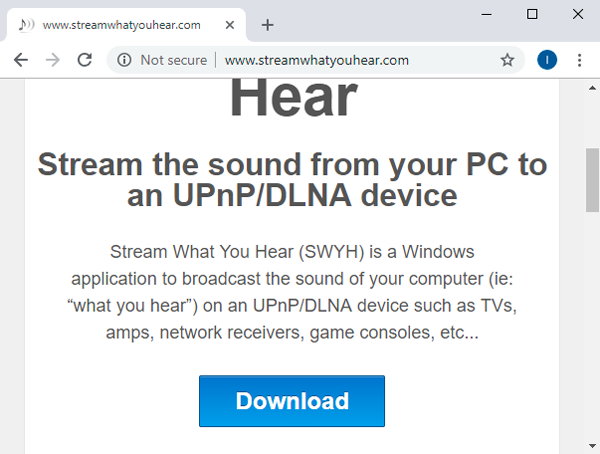 The first in the list, ‘Stream What You Hear’ is streaming server based on DLNA and UPnP. You can use it to stream the media content from your computer to any device which supports DLNA and UPnP. I can use this application to stream the audio to gaming consoles, TV’s, SONOS speakers, etc. Setting up and using the application is easy, simply download the application from its official website. 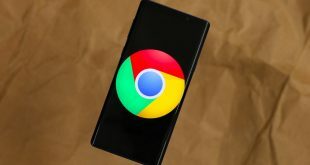 It works in two parts, first, you need to install the server app on your Windows computer and then the corresponding Android app on your phone to stream it. This app would work smoothly if all the devices are on the same network. 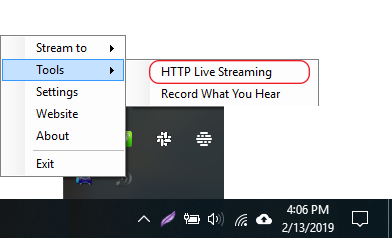 You can stream your computer’s audio using two methods, using Bubble UPnP app on your Android Smartphone or using SWYH’s HTTP Live Streaming feature. During my testing, the Bubble UPnP app worked with SWYH but with inconsistent results. Media plays smoothly with little latency if SWYH successfully establishes a connection with Bubble UPnP, if at all. HTTP Live Stream on SWYH can be used to stream audio to smartphones and it works with any web browser. You don’t have to install a separate app on the phone which is always a plus. To run the HTTP Server, right click on the SWYH icon in the system tray, and select HTTP Live Stream from Tools option. Now, Copy the URL on your Smartphone browser and hit go to start the live stream audio. It buffers for a while and then starts playing the content. I tried this app and it works well for streaming but has a significant amount of lag. If you’re going to watch movies with this setup, it is probably not a good idea. 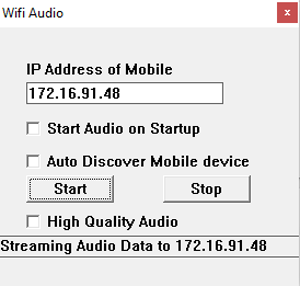 However, you can use this setup to Stream Audio from PC to Android. Seamless streaming on UPnP devices like TVs, SONOS Speakers, etc. The next app surprisingly works very well with a little latency. Wireless Speaker for Android lets you stream audio from your Windows computer to the Android smartphone. Install the Android app from the Play Store and the companion server app for Windows from their forum. 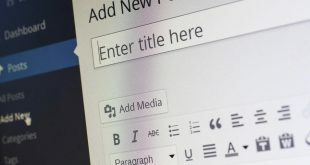 It would require you to signup to their board before giving you a link to download. After setting up the app on your smartphone and server on Windows, Enter the IP address of the smartphone in the server app on the computer and click ‘Start’. 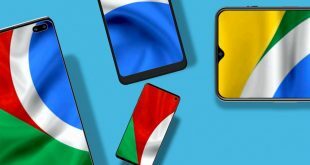 Once the devices are connected, you’ll get the audio from the Android smartphone. I found a little trick while using the app. If you use VLC media player, you can adjust the audio delay to match with the latency in the transmission. After adjusting the audio delay, the audio received in the smartphone was in perfect sync. Next, we have SoundWire, an Android app to Play audio from your computer to Android. This apps works similarly to the previous app Wifi Audio and has a few extra features. You can adjust the audio buffer size which gives you lower latency when shrunk and smoother playback when increased. This app fulfills all the checkboxes, it is easy to install, works on wifi, has low latency, and is free. 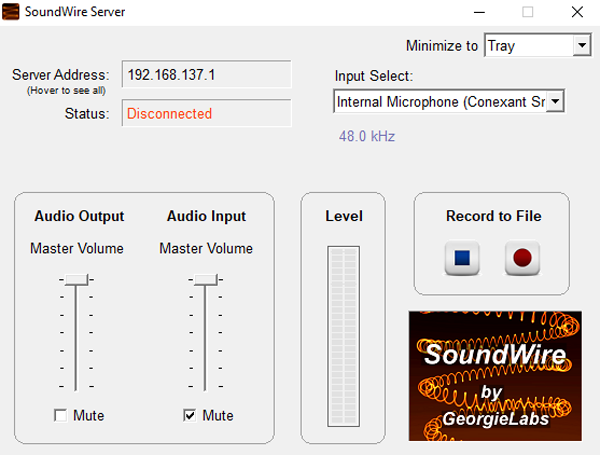 To set up SoundWire, install the Android app on your phone and the companion server app on your computer. The companion app runs on Windows, Linux, and Raspberry Pi, make sure you install the correct version. After installation, open the server app and SoundWire App, make sure the devices are on the same network. Enter the Server Address in the Android app. Tap the Soundwire icon to connect. Once connected, you can select the audio input and audio frequency in the settings. The server runs silently in the system tray and broadcasts anything which plays on your computer until you disconnect. The app interrupts the transmission at regular intervals which is a little annoying. These were three ways to Stream Audio from PC to Android. The first app SWYH is best for general audio transmissions like streaming and music playback. It has a significant lag which is why I wouldn’t recommend it for watching a movie. WifiAudio is decent and is completely free and you don’t get any interruptions like SoundWire but SoundWire has more features. SoundWire allows you to adjust the bitrate and frequency as per the content you’re watching which makes it suitable for watching movies. Which method do you use to Stream Audio from PC to Android? Tell us in the comments below.